HCPC Provides an array of transportation services to towns in Hancock County. We help towns find effective solutions to local and regional transportation problems, and assist with applications for state and federal funding. Our staff is experienced in bringing the resources of towns, the Department of Transportation, and the HCPC together in efforts to address a wide range of transportation issues including coordinated improvement schemes to major transportation corridors and development of alternative modes such as ferries and bus transportation. Work Plan. The Maine Department of Transportation has published the Work Plan for 2016-2017-2018. You can access the workplan in a variety of ways; read the pdf of the document here, view proposed projects on the MDOT Map Viewer here, or search the interactive plan for projects in a specific municipality here. Public Involvement. MaineDOT has initiated a public involvement website that makes it easy for anyone to share comments, questions, or concerns regarding transportation in Maine, https://mainedot.mysidewalk.com/ The site allows us to post various ‘initiatives” or projects where the public can post comments about those initiatives. Input can also be shared related to any of the five MaineDOT Regions. An initiative is posted for each region with a map helping to direct the public to the appropriate region. A separate initiative has been posted for general comments or questions that may not be specific to any region or project. This additional opportunity for public involvement will make it much easier for the public to make comments and interact with MaineDOT since it allows for an ongoing continuing method of communication that is quick and easy. Highway Corridor Priorities (HCP) and Customer Service Levels (CSL). These two parts make up MaineDOT's methodology to provide a fair, structured framework to prioritize programs and projects. 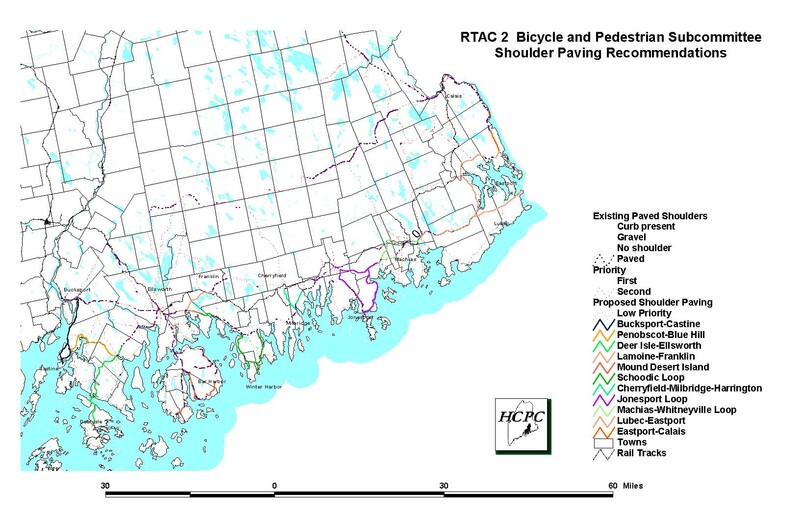 http://www.maine.gov/mdot/about/assets/hwy/ This page describes and explains how each road in the state is given an HCP ranging from 1 to 6. The CSL’s are used to rate three areas of each roadway consisting of Safety, Condition, and Service. Each is rated on an A to F scale based on various factors described on the page. MaineDOT Standards for Highway Corridor Priority and Customer Service Level - Definitions and Interactive Maps - see how your road ranks statewide.